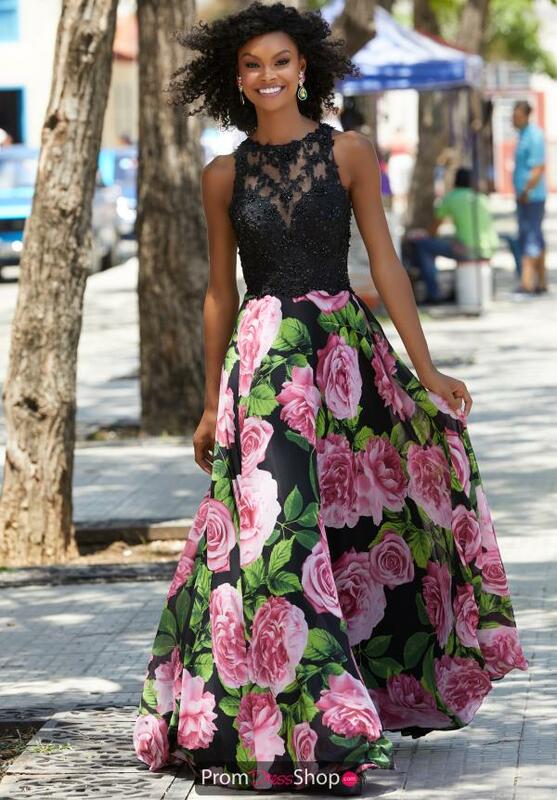 This printed prom dress 42016 from Morilee is the perfect choice for your senior prom showcasing a beautiful lace bodice adorned in dazzling beadwork, a high neckline with an open back and a fun and flirty floral skirt. A charming choice for this years prom. Shop for more floral dresses at the www.PromDressShop.com.